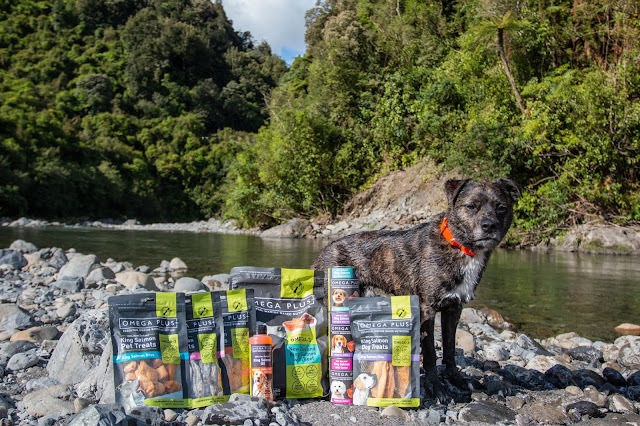 Omega Plus is a salmon treat company from New Zealand that obviously specialises in beautiful King Salmon. I originally tried Omega Plus in December of 2016 when they kindly sent me two packets of treats, and their oil to try. I then wrote a review in January of 2017, but after talking with a range of my Instagram friends, they admitted to not having seen this. 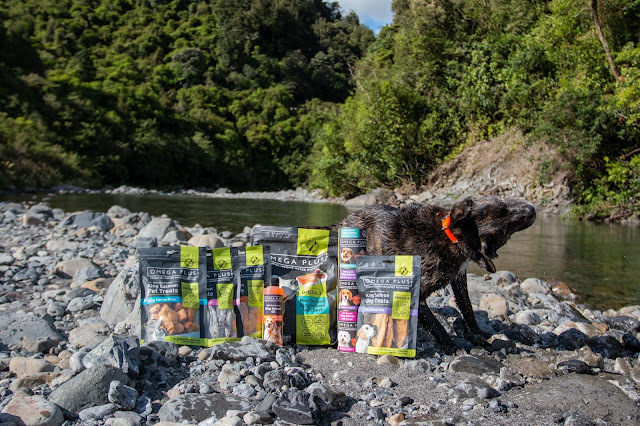 Since trying this brand all the way back then, I have been continuously buying the Salmon Oil for Diego and have even gifted it to Chico and Ollie on multiple occasions. The oil even features in my 2017 Gift Guide, which since we are not doing a gift guide this year, would still be a valid place to check for ideas! Even though I have already done a review on a few of these products, I decided to write a brand new review this time round, then read my previous one to see if my thoughts have changed. 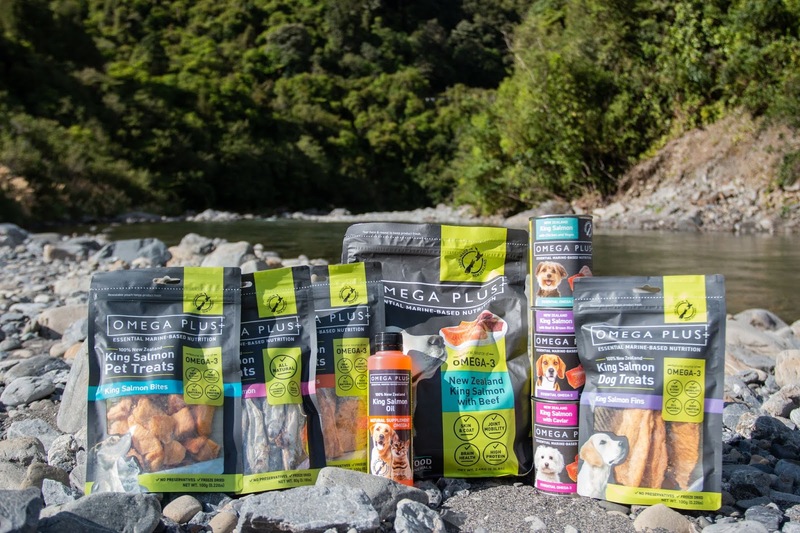 I realise above I only mentioned treats and oil, but Omega Plus now comes out with a pet food which is actually available at supermarkets. 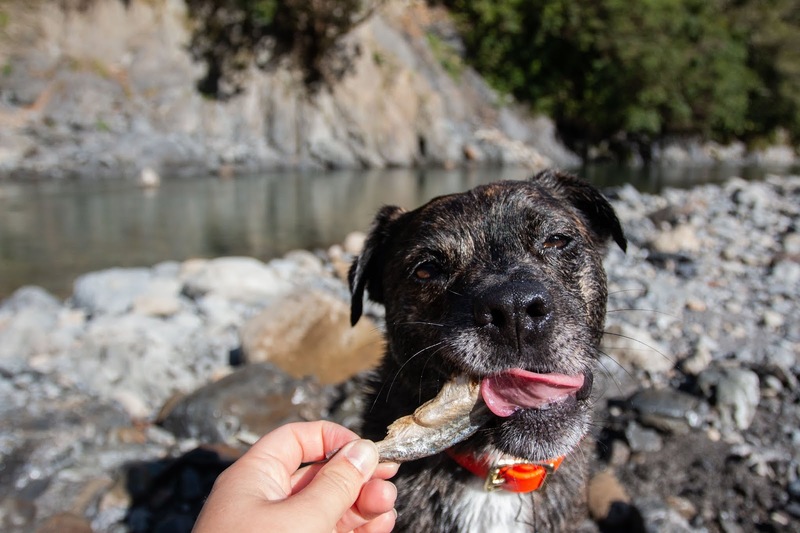 Don't let that fool you into thinking it is a terrible food though, they are definitely the best available in regards to kibble at the supermarket. I recently went up to mums for a week, and was in such a rush to leave my house I forgot to bring Diego's Orijen kibble, which is his general food. I did however have some of this Omega Plus food in the car, so instead of buying more Orijen, I just straight away converted Diego to Omega Plus. 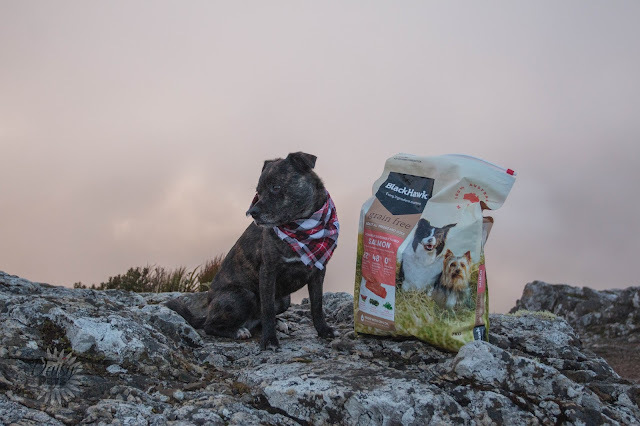 Trust me, I know this isn't the way to change dog food brands, and considering Diego's digestion problems, I should have thought about it a bit more, but honestly, I just wanted to try the kibble and this was a good and easy excuse to start. 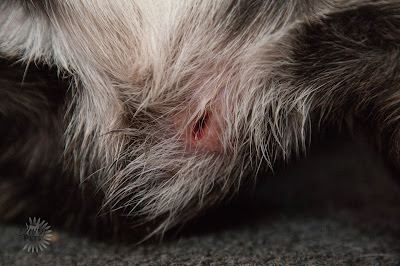 If you have read any of my previous posts you will know about Diego's bowel problems, or if you are a first time reader I apologise, but Diego since a puppy has always been prone to runny stools. It can be the slightest change of anything and it will set Diego off to be runny again. I have always fed him Orijen (except for a time period where I tried Black Hawk) and considering this is one of the top foods on the market, I didn't try anything else. Omega Plus' ingredient list is not terrible, the first ingredient is King Salmon, but it does contain grains. I haven't actively made Diego grain free, Orijen just was grain free and I figured that is what is important since everyone is talking about it. I honestly, haven't actually done research of my own in regards to grains. Due to the grain reason, I probably wouldn't have looked at Omega Plus as a viable kibble option. HOWEVER! And that however is in caps for an important reason. Diego has not had a single bout of runny stools since being on Omega Plus. TMI incoming, but all his stools are perfectly solid, but not too solid, and haven't been even the slightest bit sloppy in the month we have had Diego eating this food. I know this is a weird thing to rave about, but after having a dog that is super prone to at least one sloppy poo, this is the best news. I don't know what it is about this food, maybe it is the grains after all, but he is a changed poo'er. I actually don't hate trying to pick up his poo in public anymore. I am definitely going to be keeping Diego on this food for a while to see how it goes long term, but I am happy to say for now, I am crazy about this food. Please bear in mind though, like humans, dogs have different requirements for their food choices, and some dogs will do better on other food than others. I am not saying that this food is a one sized fits all option and is the best on the market, I am just saying that this has been remarkable (so far) for Diego and if you have a dog with similar problems, it might pay to check it out. I will do an update in maybe 3 - 6 months time though to see how it is going and if it is still working with Diego. Before I finish talking about the food I would also like to mention a few specifics. 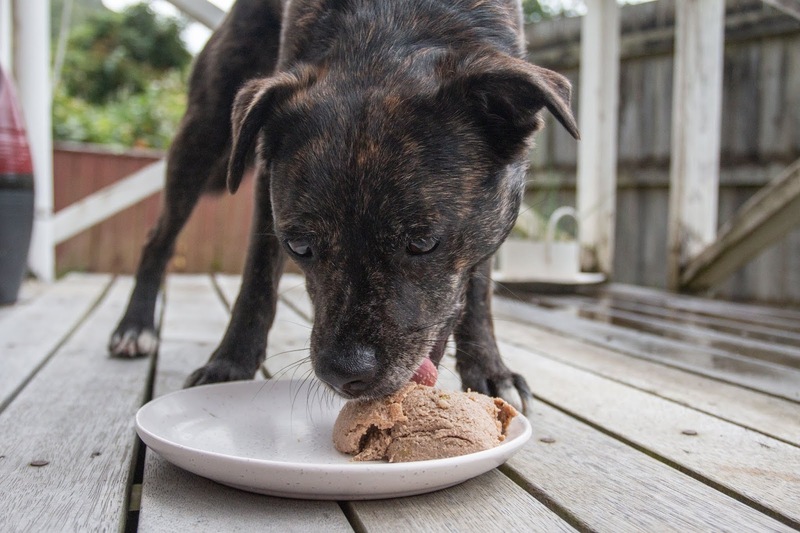 The kibble is little, so if you have a bigger dog it might not be fantastic for you. It is the size of what most companies advertise for 'small dogs'. I love it since I use the kibble for training at meal times, or put into toys which means it lasts longer than Diego's Orihen. Also a big selling point of Orijen is that you can feed less since it has no grains and is a more nutrient dense food, however if you look at the comparison below of the recommend feeding size for both brands for a Diego sized dog, you will see that there is not too much difference. 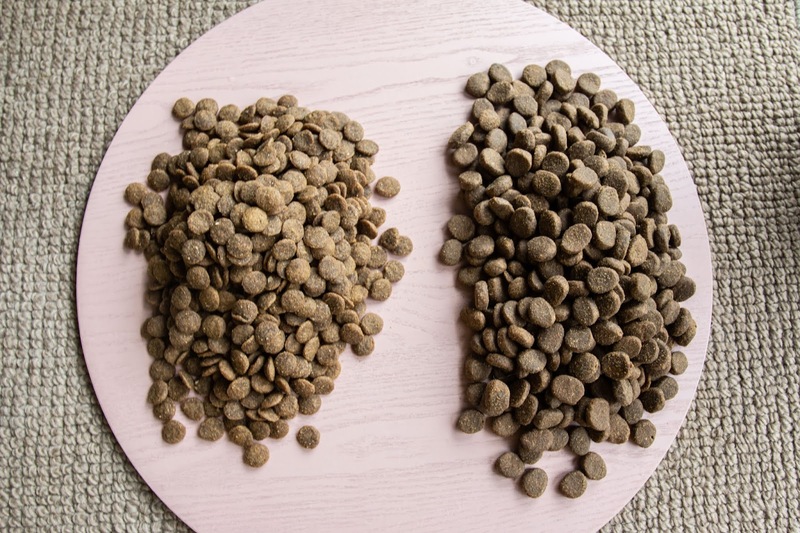 This also shows the size comparison of the individual kibble between the two brands. You can only buy 2.4kg bags currently and they retail for around $27 per bag. 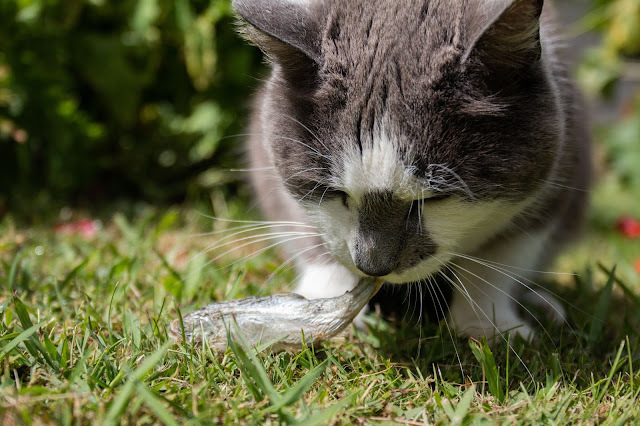 Moving on from the food I will quickly mention the Salmon Oil. I don't think there is too much I need to say as I have talked about this oil quite a lot over the past couple years and I think the amount I use it also speaks for itself. The big change since I last talked about the oil is the new packaging, which let me just tell you is an amazing decision to change. The pump packaging that they previously used could get a bit hard to use near the bottom of the bottle and I always felt like I was wasting a lot of product. This new design means that the oil flows out easily, and you can nearly use every drop. I add oil to one meal of Diego's a day if I remember, but it would be at least 4x a week that I use this. I have found it has improved his skin, his coat and his nails. To be honest, his nails never stop growing and they are the toughest things ever! I've given it to my sister to use with Ollie as the Omega-3s in the oil are amazing for his joint health after being run over by the van. 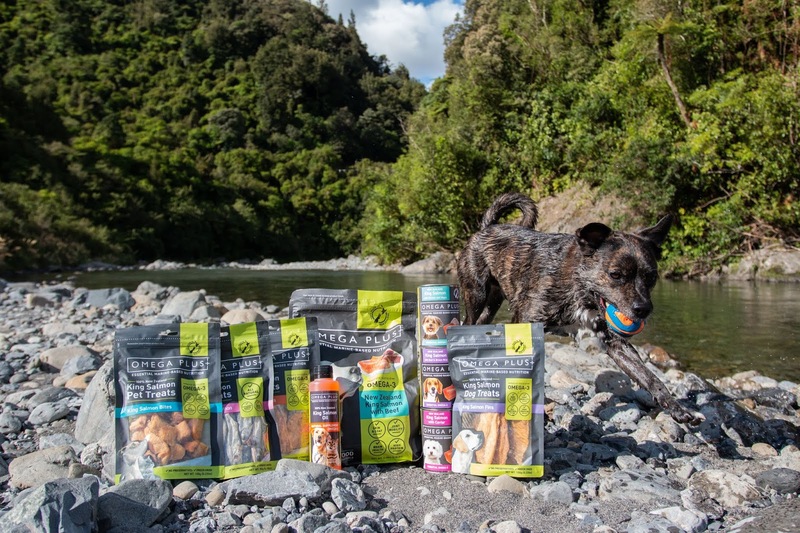 All the treats by Omega Plus are just 100% New Zealand King Salmon which is amazing and super healthy for your dogs. 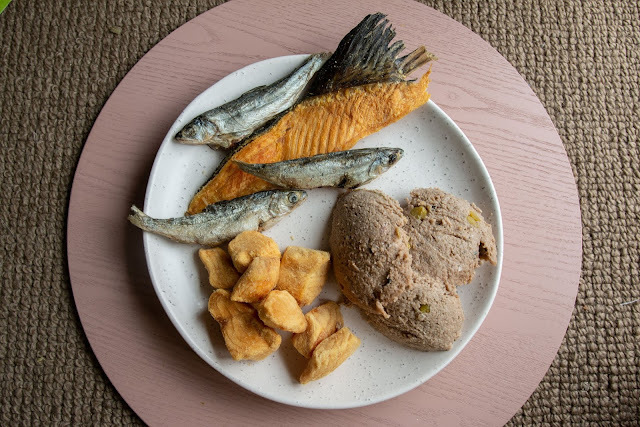 They come in a range of cuts including fins, tails and bite sized pieces. 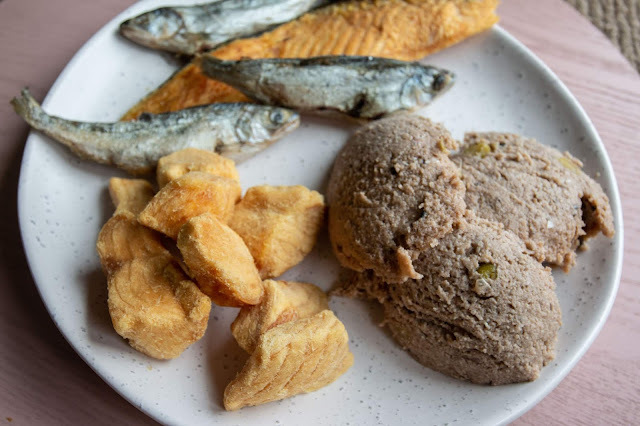 I have to say my favourite treat mainly for how crazy it looks is the whole salmons which are just little mini salmon. I loved doing the photoshoot of the dogs eating these, and shared them with work colleagues who also loved them far too much. 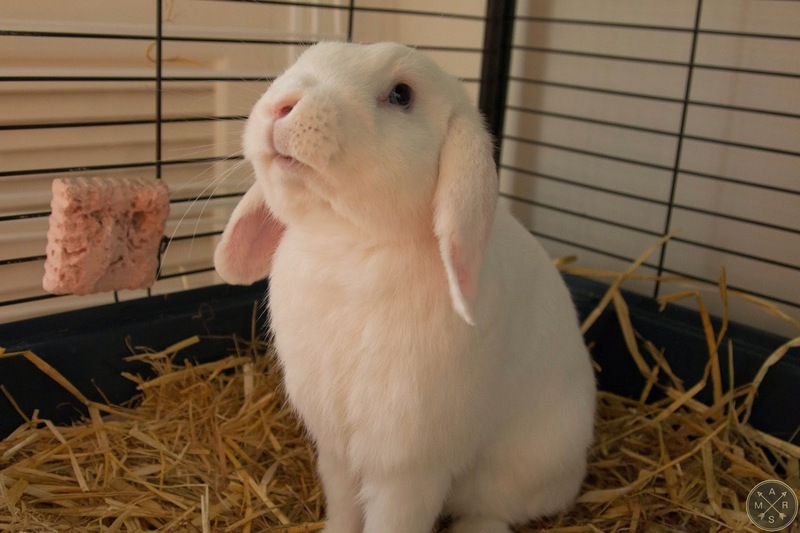 All the treats are firm favourites of Diego's, and the minute he smells any of the bags he is absolutely crazy for it. Be aware, due to these being super fresh, and well 'made' treats, they do smell incredibly like fish. Your fingers will have a smell after touching any of their products, which isn't overly disgusting like some beef treats I have touched, but it is also not a smell I would want to linger on me. 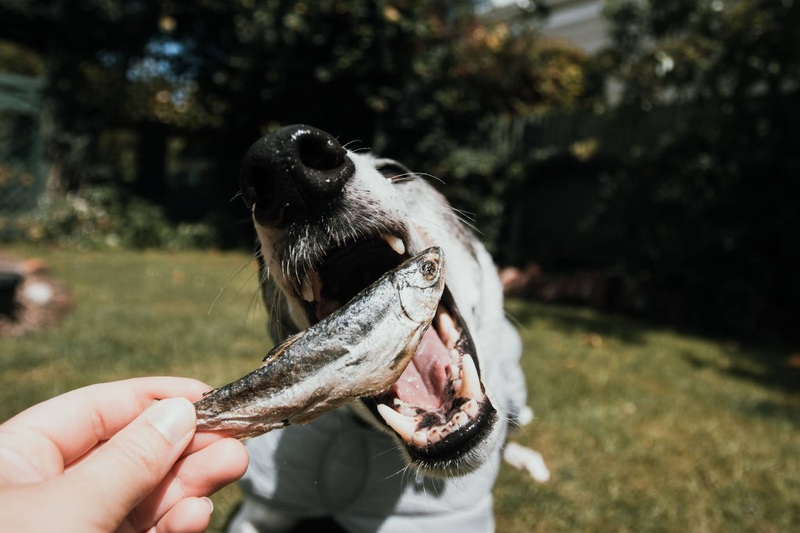 That smell does increase interest though, so if you are working with your dog on a challenging distraction task that needs a good smelling treat, these will be your best bet. Now is your chance to win! Omega Plus was super kind to gift as an amazing bundle of treats, food and oil to giveaway to one lucky winner. 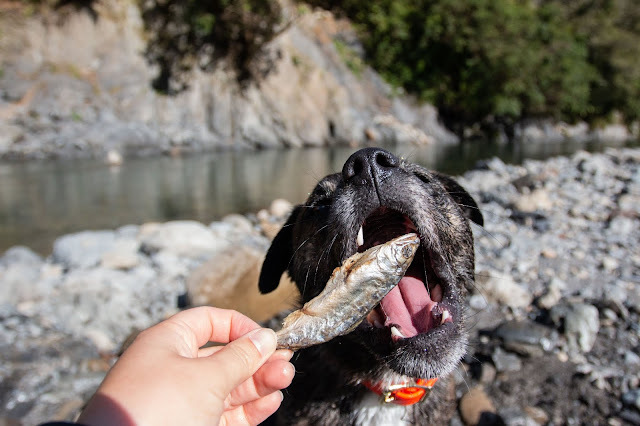 In the prize pack you will win a 2.4kg bag of Omega Plus food, a bottle of their King Salmon Oil, a can of their wet dog food, and finally three bags of their treats in the fins, tails and bites cuts. Because of the nature of this product, the winner must be within New Zealand. All you have to do is follow the tasks below to get your entries in. Remember, we are not allowed to request you to follow or like our Social Media pages but it does help us both a lot if you do. I would greatly appreciate you spreading the love back to Omega Plus for how generous they have been this year.